Today's photohunt theme is "bells". 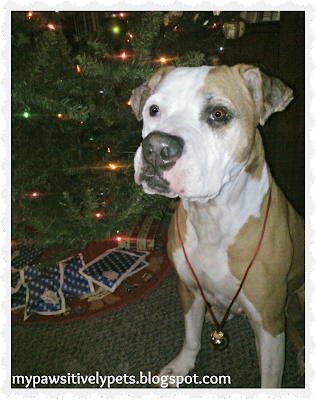 Shiner had a little photo shoot yesterday in front of the Christmas tree wearing a jingle bell necklace. This is probably as festive as she's going to get this year, hehe. I promise that my tree has ornaments on it! I didn't hang any down low this year though because I didn't want my 10 month old baby grabbing them and breaking them. Have a happy Saturday everyone! PS - Have you joined The Anipal Tribute to the 12 Days of Christmas yet? Don't be left out! Click the icon to join! Wise idea with little hands. Have a super Saturday. Well, that might be because I'm holding a treat lol. Be thankful they just stopped at bells . . . stay tuned for our humiliation! Woohoo can't wait to see! Hey Shiner, Jet here. Hi Miss Ann. Wowee, a little baby? Oh, I love babies... Please give your baby Jetty kisses for me. 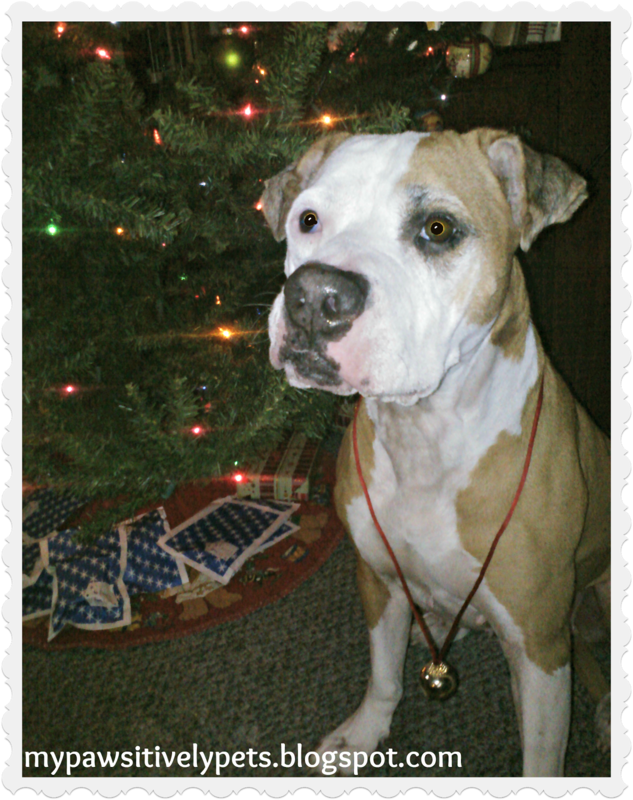 Shiner, looking fetching and festive in front of the tree! Thanks Caren, the other one's size and clarity had been bugging me for a while. Hey Ann, Who'd a thunk it...we're both dealing with Christmas trees and 10 months-old! (Only mine's my grandson for whom I baby sit 3 days a week.) LOL I love Shiner's bell, nice pic. What we do for our babies (of all species)! Nice photo. Purrrrrrrrrrrrrrs. Love the necklace and definitely relate to keeping everything out of the baby's grabbing hands. We are doing the same this year with our youngest! oh my cat! We just noticed why Shiner has her name! MOL! We're sorry we've not been visiting - mommy's been sick this week (ugh) but she's better now - YAY! They're careful about which ornaments go low down on our tree because one of the cats keeps walking underneath it just to see decorations move!